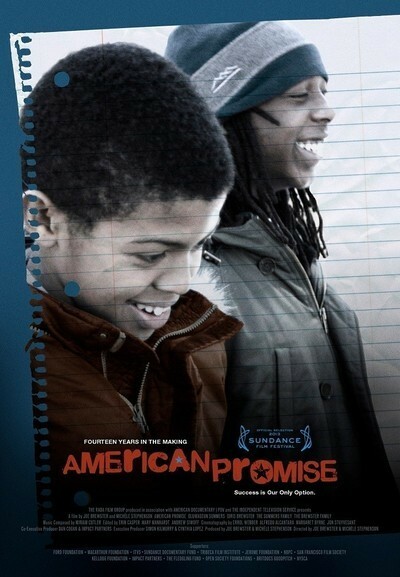 Mosaic has rescheduled its screening of "American Promise," a documentary that follows two African-American boys at the Dalton School from kindergarten through college admissions. Parents, students, faculty, staff and alumni are all welcome to attend on the new date, Monday March 10 at 6 p.m. The screening, which will take place in the auditorium, will be followed by a discussion from 7-8 p.m. For more information, click here. American Promise was created by one of the Dalton student's parents and shows the sometimes difficult journey these families took through an elite -- and previously not very diverse -- school. The full length documentary was recently broadcast on PBS. A shorter version will be screened in order to allow time for discussion afterwards. Hunter College High School students are expected to participate in that discussion, which will also be joined by Chris Jackson, an HCES and HCHS alum who edited Promises Kept: Raising Black Boys to Succeed in School and in Life, which was published in January. For more information please contact Andy McCord at amccord@verizon.net.